So, you’re planning a trip to the 2019 FORMULA 1 UNITED STATES GRAND PRIX™ and have no clue where to sit. There are so many options at Circuit of The Americas™ that it can be overwhelming when trying to decide. We are here to help you navigate the track and look at the views from the best seats at Circuit of The Americas. While there are 20 turn locations around the track, we’ve selected the top five to make your decision easier! Here’s a look at the track and each turn location. We call this Platinum and Gold, but this seat location is considered the Main Grandstand. Here you will have views of the starting line, finish line, Turn 1, and Turn 20. This is the first turn of the race and boy, do cars come at you full speed! Here you’ll see the cars come straight up the hill at 133 feet (the highest point of the track) and hit one of the craziest turns in F1. You can also catch distant views of the starting line and finish line from here. This turn will give you views of Turns 3, 4, 5 and 6. You’ll also have the best view of the iconic COTA Tower. This hairpin turn is a doozy and you’ll see every car hit it full speed from your seat. This seat allows has views of Turn 13, 14, and 15 making this one heck of an option for F1 action. This turn is the last of the hairpin Turns and allows you views of Turns 12, 13, 14, 15, and 16. This is the wackiest and craziest turn sequence of the race and you’ll have the best views. Picked your favorite view? Perfect, now let’s add hospitality and accommodations with your tickets! 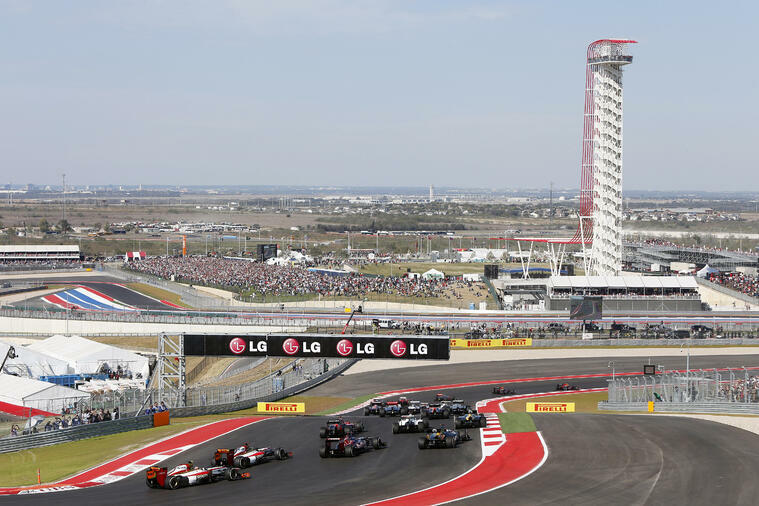 COTA Experiences offers the best ticket packages you can find for the 2019 USGP. You can choose between two local hotels that come with transportation to and from the track. You also have the option to add on VIP Hospitality- and believe me, you’ll want the hospitality. The Champions Club is the place to be race weekend. Here you’ll find refuge from the weather and the crowds. Here you’ll enjoy gourmet food and an open bar but never miss a race moment as there is closed circuit TV coverage throughout the space. What more could you ask for?